The third in a series of exhibitions at BWI Airport is now on view, and once again, I am one of seven Maryland artists with work on display. 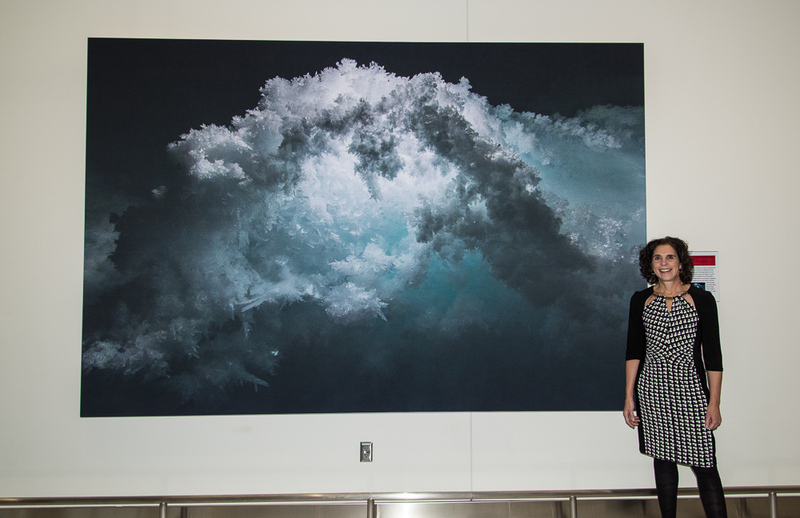 Fractal Arch, the photograph from Antarctica's Erebus Ice Tongue cave shown above, is on view in the D/E Concourse, enlarged to seven by ten feet. It will be on display through midsummer 2018. Fractal Arch was taken inside the ice cave, with the mountaineer who accompanied me aiming his lights to backlight the dramatic features. You can listen to an account of that visit here. Join the emailing list to get occasional updates about new exhibitions and media coverage delivered to your inbox.